Join ELI as they rock the Toadlick! 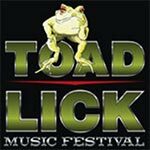 The Toadlick Music Festival is a 3-day outdoor music festival held annually at the National Peanut Festival Fairgrounds in Dothan, Alabama. The 2015 festival will be April 23 – 25, 2015. This year’s festival promises to be even better with events, camping, attractions, and some of the biggest names in country music, rock, & southern rock performing throughout three fun-filled days and nights. General admission tickets are available for purchase online and from local ticket vendors. A limited number of tip tickets with special access passes are for sale on a first-come, first-serve basis.